To celebrate World Water Day in Kvareli Municipality, on March 22 the local coordinator of The Greens Movement of Georgia/Friends of the Earth – Georgia organized clean up action in the frames of the campaigns “Clean Up Georgia” and “Blue Stream”. The Kvareli action participants were representatives from the various departments of the city hall, 110 volunteers in total. 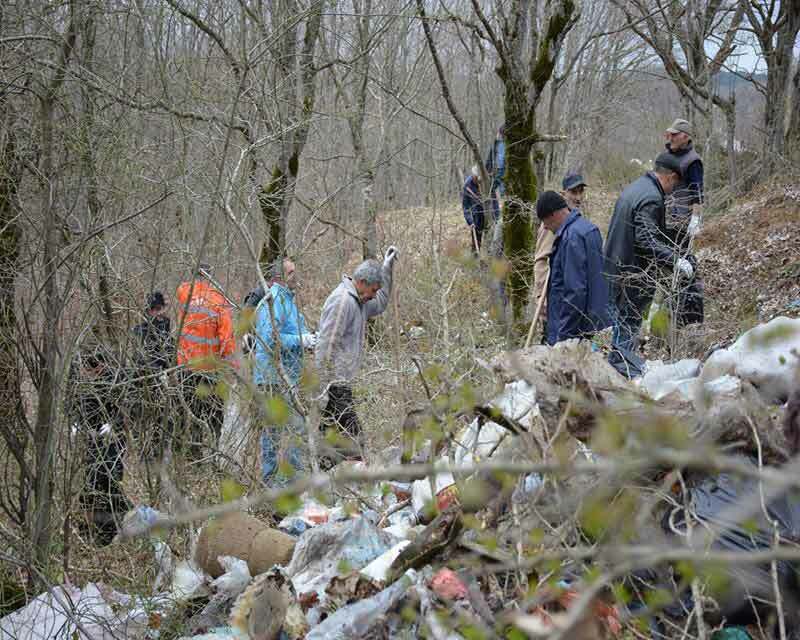 During action, surrounding territories of Tevali highway, Kvareli Lake and Telavi Street were cleaned up, 10 ha in total. 35m3 of waste was collected. To celebrate World Water Day in Tskaltubo Municipality, on March 22 the local coordinator of The Greens Movement of Georgia/Friends of the Earth – Georgia organized clean up action in the frames of the campaigns “Clean Up Georgia” and “Blue Stream”. During action, territory of Tsivi Lake and channels were cleaned up, 1.5 ha in total. 1.4 m3 of waste was collected and disposed. Number of participants was 35. In addition to the clean up action, on March 21 in connection with the International Day of Forests, in the frames of the campaign “Clean up Georgia Phase III” tree planting action was held. 140 different species have been planted. Number of participants was 35. 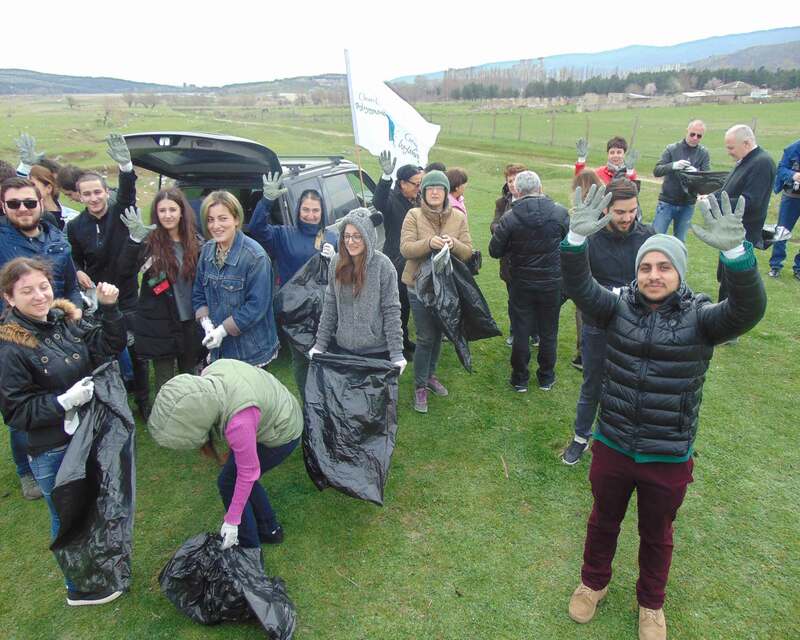 To celebrate World Water Day in Tchiatura Municipality, on March 22 the local coordinator of The Greens Movement of Georgia/Friends of the Earth – Georgia organized clean up action in the frames of the campaign “Clean Up Georgia” and “Blue Stream”. The Tchiatura action participants were: local population, Mayor of Tchiatura Mr. Paata Nadiradze, representatives from the city council and the city hall, 50 volunteers in total. During action, territory of Tchiatura-Usakhelo-Korbouli highway was cleaned up, 500-600 km2 in total. Approximately, 20m3 of waste was collected. 2018-03-22 March 22 – World Water Day! To celebrate World Water Day, on March 22 The Greens Movement of Georgia/Friends of the Earth – Georgia organized clean up action in the frames of campaign “Clean Up Georgia” and “Blue Stream” in the vicinity of Lisi Lake. The action participants were: representatives from the project implementer organizations,GWP-Georgia and Department of Environment Protection of A/R Abkhazia, members of eco-hikers club of Tbilisi State University – 40 participants in total. During action, 1.5 ha of territory was cleaned up, 3 m3 of waste was collected. 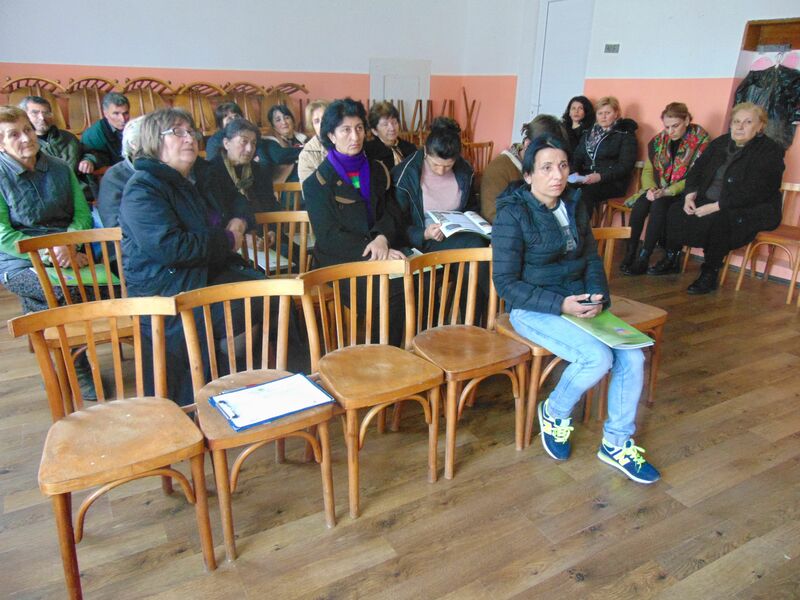 The NGO “Ecological Awareness and Waste Management” (EAWM) conducted another regional meeting on March 13, 2018 in Kutaisi, Imereti region. Meeting was held in the framework of the ‘Clean Up Georgia – Phase III” Project aiming at informing the governance of the region on the hazardous waste (chlorine/chemicals) and threats caused by them on the territory of Georgia and in particular on the territory of Imereti region. On March 2, 2018 NGO Ecological Awareness and Waste Management (EAWM) held a meeting with the representatives of Georgian Water and Power Company (GWP), in the framework of the ‘Clean Up Georgia – Phase III” Project. On the 20th of February and 2nd of March, 2018, Georgian Society of Nature Explorers Orchis arranged meetings in Khashuri, Aspindza and Akhaltsikhe Municipalities. These gatherings were attended by representatives of City Halls, Sakrebulos, non-entrepreneur (non-commercial) legal entities and limited liability companies from the mentioned municipalities. On February 28, within the framework of the project “Clean Up Georgia Phase III” the meetings were held with residents of the village Ananuri and borough Pasanauri on waste management issues, organized by the Greens Movement of Georgia / Friends of the Earth-Georgia. The purpose of these meetings was to provide local residents with information on existing problems and challenges of waste management and current situation in Georgia in this regard. The conversation was about introduction of waste separation and composing methods. On February 23, within the framework of the project "Clean Up Georgia Phase III" the meetings were held on waste management issues with the residents of the villages Jugaani and Tibaani of Signagi municipality, organized by the local coordinator of the Greens Movement of Georgia / Friends of the Earth-Georgia. 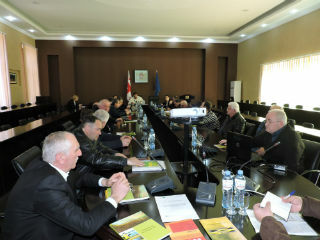 The purpose of the meeting was to provide local residents information on realized and planned activities within the framework of the project, as well as on waste management in Georgia, international obligations and foreign experience in the field of waste management, where already exists success in terms of waste management , that have been achieved through active participation of the communities and cooperation with local authorities. 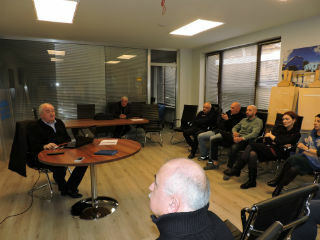 On February 27, within the framework of the project "Clean Up Georgia Phase III" the meetings were held on waste management issues with the residents of the villages Leliani and Heretis-kari of Lagodekhi municipality, organized by the local coordinator of the Greens Movement of Georgia / Friends of the Earth-Georgia. The purpose of the meeting was to provide local residents with information on problems on waste management and the situation in Georgia, as well as problems and challenges existing in the region in this regard. 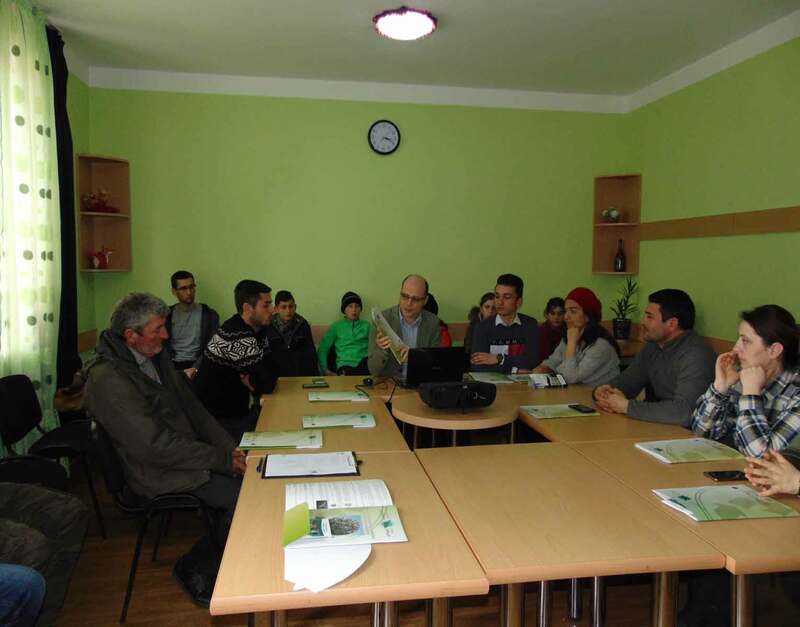 On February 22, within the framework of the project "Clean Up Georgia Phase III" the meetings were held on waste management issues with the residents of the villages Vejini and Dzirkoki of Gurjaani municipality, organized by the local coordinator of the Greens Movement of Georgia / Friends of the Earth-Georgia. At the meeting local coordinator provided information to the presented audience on problems related to waste management in Georgia as well as on the fulfillment of obligations under the EU Association Agreement. During the meeting were also discussed the planned activities within the framework of the project . On February 23, within the framework of the project "Clean Up Georgia Phase III" the meetings were held on waste management issues with the residents of the villages Jugaani and Tibaani of Lagodekhi municipality, organized by the local coordinator of the Greens Movement of Georgia / Friends of the Earth-Georgia. 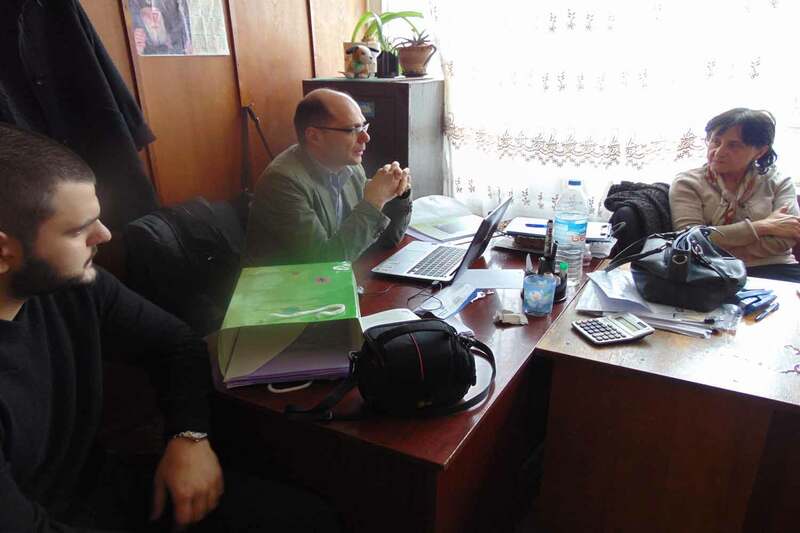 The NGO “Ecological Awareness and Waste Management” (EAWM) conducted another regional meeting on February 22, 2018 in Rustavi, Kvemo Kartli region. 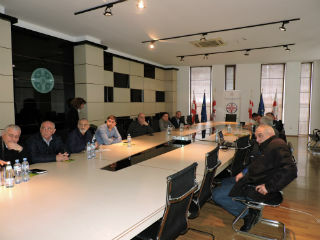 Meeting was held in the framework of the ‘Clean Up Georgia – Phase III” Project aiming at informing the governance of the region on the hazardous waste (chlorine/chemicals) and threats caused by them on the territory of Georgia and in particular on the territory of Kvemo Kartli region. 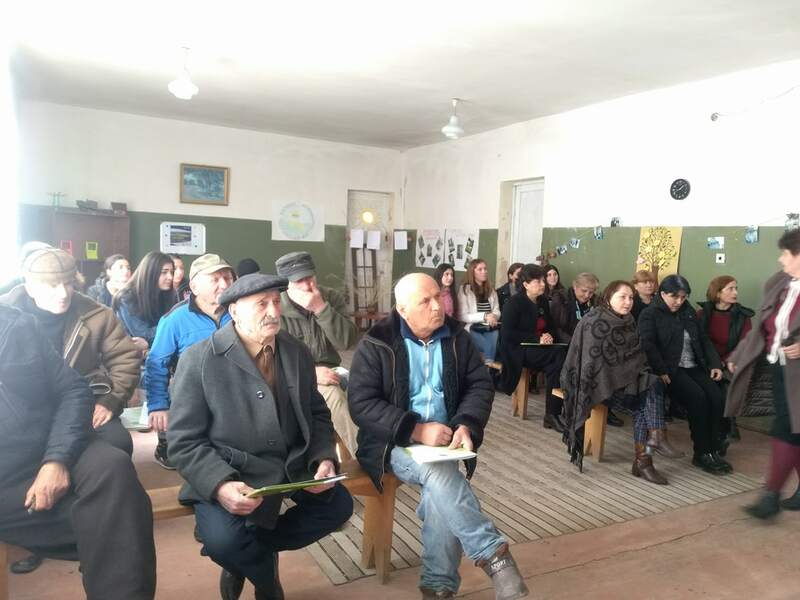 On February 21, within the framework of the project “Clean Up Georgia” a meeting was held with representatives of local residents in the administrative district of Pakhulani village, Tsalenjikha municipality, namely on problems related to waste management in their community. At the meeting, local residents noted that problems related to waste management remain unresolved in their village, since waste is not removed from the community, and therefore the waste is mostly burned and buried by the population or dumped into the river. The participants expressed their readiness to solve this problem. The meeting was attended by 16 local representatives of the Pakhulani community. The meeting was organized by the representative of the regional organization of the Greens Movement of Georgia / Friends of the Earth-Georgia. On March 14, within the framework of the project "Clean Up Georgia Phase III" the meetings were held on waste management issues with the residents of the villages Upper Machkhaani and Arboshika of Dedoplistskaro municipality, organized by the Greens Movement of Georgia / Friends of the Earth-Georgia.